While there is still time left in this gardening season, it pains me to admit that it is slowly starting to wind down. As the end of August approaches, we are starting to think about carefully putting our outdoor garden to bed for the winter months. But fear not! You don’t have to quit growing plants just because the cold weather is approaching. If you don’t have several already, now is a great time to learn about, and start a small (or really big!) collection of indoor plants. As lovely as this plant’s name is, it is toxic to kids and pets so keep it out of reach. It’s a climbing vine that will need space to grow if you want it to trail down a book shelf or wall. Alternatively, you can pinch off any lanky stems to keep it full and bushy. Make sure you pinch after a “node,” where a leaf is attached to the stem. A new stem will grow from this spot. If you pinch elsewhere, the stem will likely die. Sharp scissors are the best choice to avoid a tear or jagged edge, which will leave the plant susceptible to disease. These plants are easy to grow and will remain happy in a small pot for about two years. They require watering only when the soil has dried out, but do appreciate being regularly misted with a spray bottle. Yellow leaves will indicate too much water. I have a gorgeous peace lily on my desk at work and it is so easy to care for! With its dark waxy green leaves and stunning, unique white flowers, the peace lily is high on NASA’s list for removing the top three VOCs – formaldehyde, benzene and trichloroethylene. It requires indirect light, a warm spot away from drafty windows, and a thorough soaking once a week. Cut back blossoms once they are spent to encourage new blooms to grow. I also cut off older leaves to make room for new ones. I have left work for long weekends and come in to find my poor plant completely drooped, but a long soak is all it needs to perk right back up. Make sure the pot you use has good drainage as peace lilies are susceptible to root rot. If you are known as a “black thumb” and feel you can’t keep anything alive, a snake plant is what you need! While not the “prettiest” of plants, they are uniquely beautiful with their long green and yellow spikes that can grow up to eight feet tall. You can literally stick these in a dark corner and let them dry out and they still survive. I’ve left mine without water for as long as two to three weeks without consequence! These tough plants are rich with history. They were first grown in China and are said to bestow virtues to those who grow them. They were kept by front doors to encourage virtues to circulate throughout a household, based on traditional Feng-Shui practices. They especially love humid rooms, so pick one up for your bathroom. Another good room for a snake plant is your bedroom. Most plants absorb carbon dioxide and release oxygen during the day, but snake plants offer you a boost of oxygen while you sleep. They are also excellent at filtering out formaldehyde. 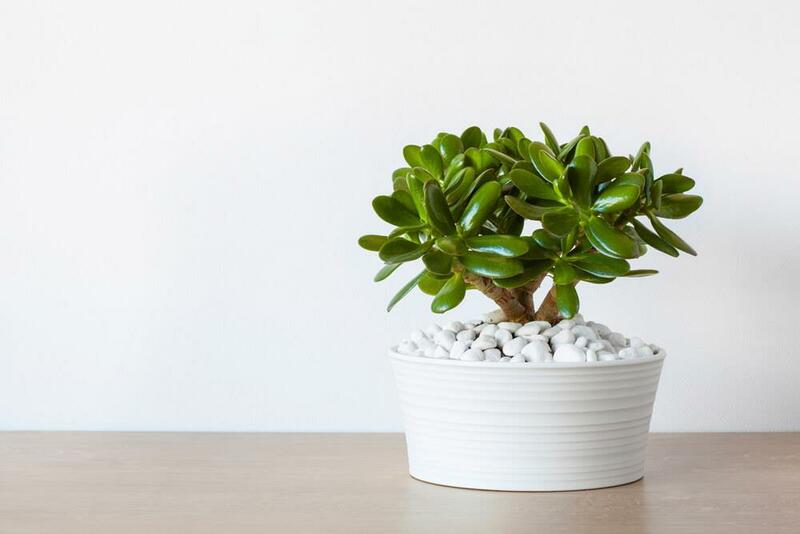 The jade plant is a succulent with thick rounded leaves that retain water in case of drought. Even if you forget about your jade, most will revive with a good soaking. But a good way to stay on top of watering appropriately is to check the top inch of the soil – if it’s dry then it’s time to water. Find a bright sunny window for these plants as they need lots of light to thrive. If you follow these basic steps your little jade plant could eventually grow into a small jade tree! I remember as a kid my mother had one that was easily three feet tall! 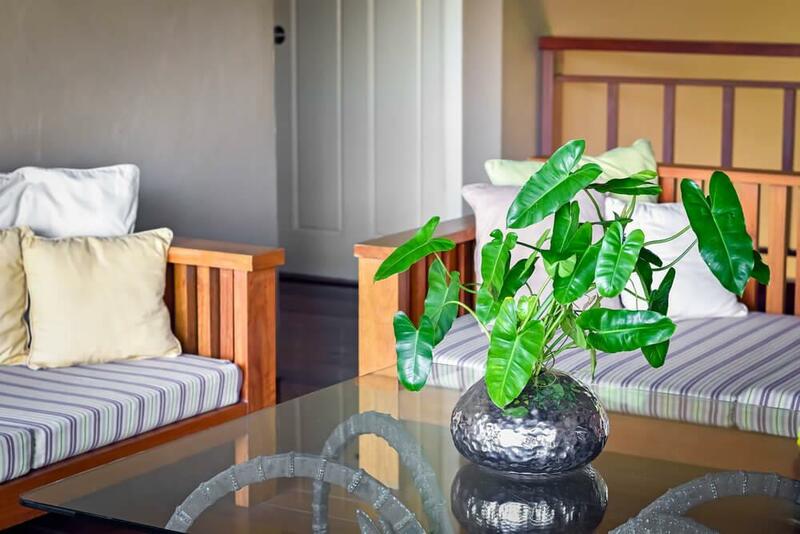 If you’re looking for something a little more showy in a house plant, try an African violet. These flowering plants require a bit more care, but will reward your efforts by blooming several times a year. They need bright, indirect light and warmth. Keep them moist, but with good drainage. Avoid getting their leaves wet when you water. Adding some specific “African Violet” fertilizer from your local garden store will help, too. 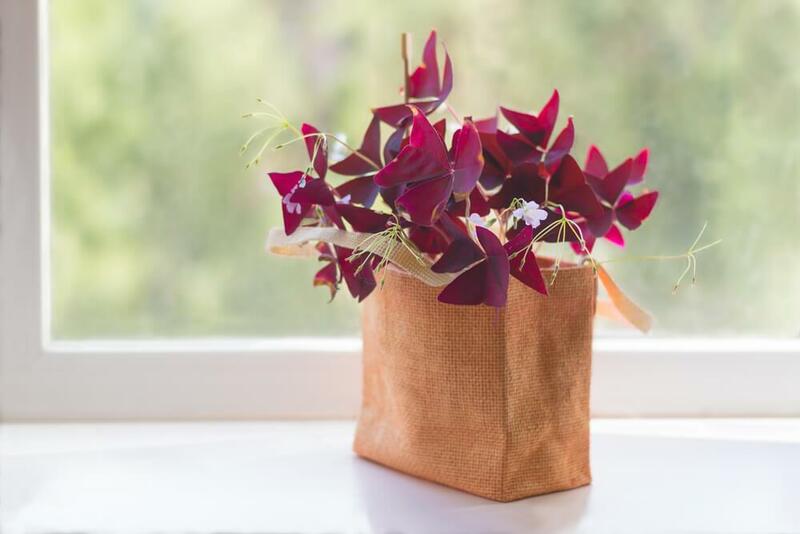 One of my favourite flowering indoor plants is oxalis, more commonly known as shamrocks. I have two varieties – green foliage and purple foliage. Both have delicate white or light pink flowers that offer a hint of spring in winter. These plants are pretty easy to care for. Let them dry out in between waterings, give them lots of light and some houseplant fertilizer. These plants do have a dormant period when the leaves will die off. At this point they need to be moved to a dark corner for a bit. When you start to see new shoots emerging, it’s time to move the plant back into the light so it can grow lots of fresh blooms and new leaves. If they become crowded in their pot, you can “up pot” them to a larger vessel or split the small bulbs that Oxalis grow from. 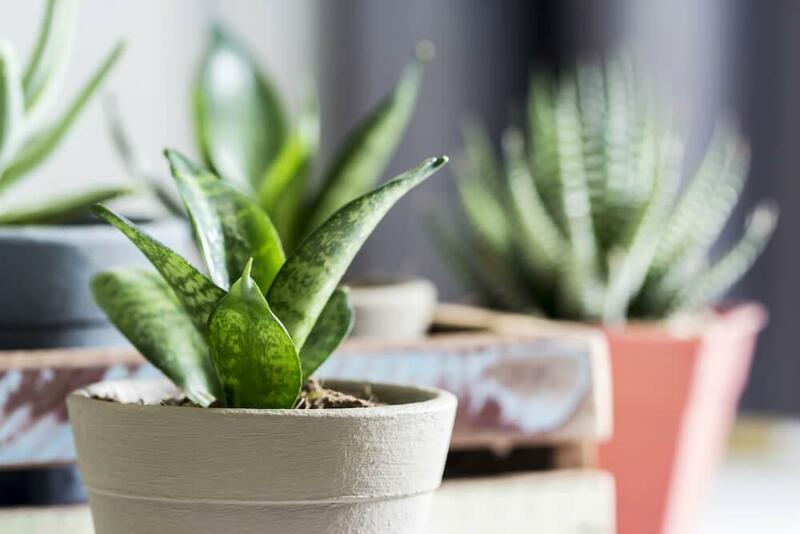 So, whether you have a green thumb or black thumb, there are so many different types of houseplants with varying degrees of care. Hope this helps you with your next houseplant purchase!